(CBS/AP) - Moody's Investor Service cut the Spanish government's credit rating Wednesday, a direct result of the rescue package lined up by European leaders over the weekend. The rating lowered Spain's rating from A3 to Baa3, which leaves it in investment-grade status but just one notch above junk. The downgrade comes after European leaders announced a $125.6 billion loan to Spain on Sunday. The loan is meant to help Spain shore up its hobbled banking system. But it will also increase the government's debt burden, according to Moody's. "The Spanish economy's continued weakness makes the government's weakening financial strength and its increased vulnerability to a sudden stop in funding a much more serious concern than would be the case if there was a reasonable expectation of vigorous economic growth within the next few years," Moody's said in a statement Wednesday. Spain's higher debt burden has pushed the government's borrowing costs to record highs this week. Moody's said it put Spain on review for another possible downgrade in the coming months. The rating agency gave the same downgrade to the country's fund for bank restructuring, known as Spain's "Fondo de Reestructuracian Ordenada Bancaria," which was created in 2009 to oversee mergers of banks to help strengthen the country's banking system. Moody's said the fund's debt got the same rating because it is fully and unconditionally guaranteed by the government. "While the details of the support package have yet to be announced, it is clear that the responsibility for supporting Spanish banks rests with the Spanish government," Moody's said in a note. 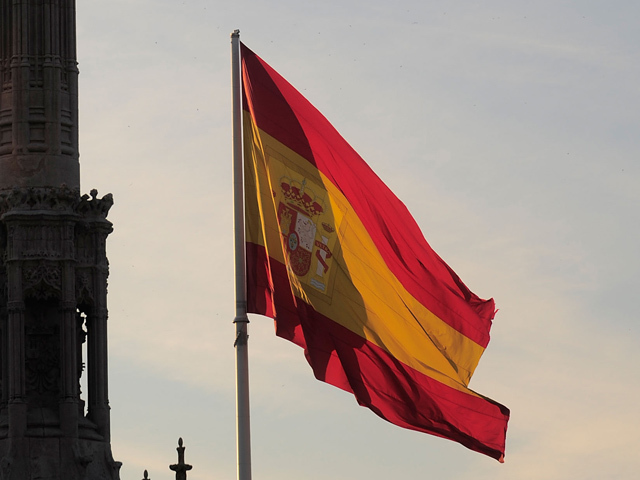 The agency expects Spain's public debt ratio will rise to around 90 percent of its gross domestic product this year and continue to increase until the middle of the decade. Moody's and other rating agencies have lowered their ratings on a number of European governments and financial institutions recently, given the economic turmoil in region. The rating agency also downgraded the bond rating of Cyprus's government Wednesday by two notches to Ba3 from Ba1, sinking it further into junk-grade status on the increasing likelihood that Greece will exit the euro. Cyprus has heavy exposure to Greek banks and Greece's exit from the euro would increase the amount of support that Cypress would have to extend to its banks at a time when the country's finances are already strained and it has little access to international markets. Moody's said Cyprus's rating is under review for further downgrades.